Watch the video and check out the survey results to find out what's useful (and what's not) about these virtual helpers. From the Amazon Echo to Google Home, smart speakers have parents (and kids!) talking. Our latest research covers everything from parents' privacy concerns to the unexpected reasons kids interact with Siri or Alexa. 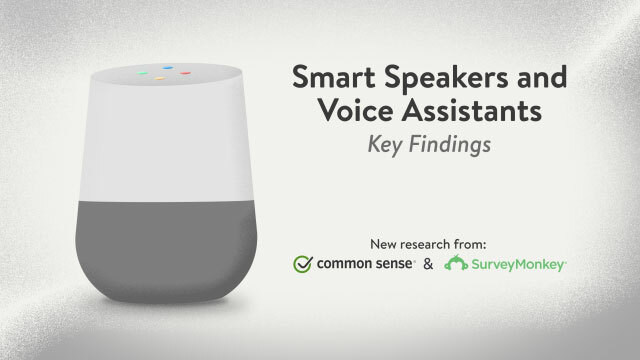 Check out the report, created in partnership with SurveyMonkey, to see how families like yours are navigating the new world of voice-activated tech. Sign in or join to access these free member resources.